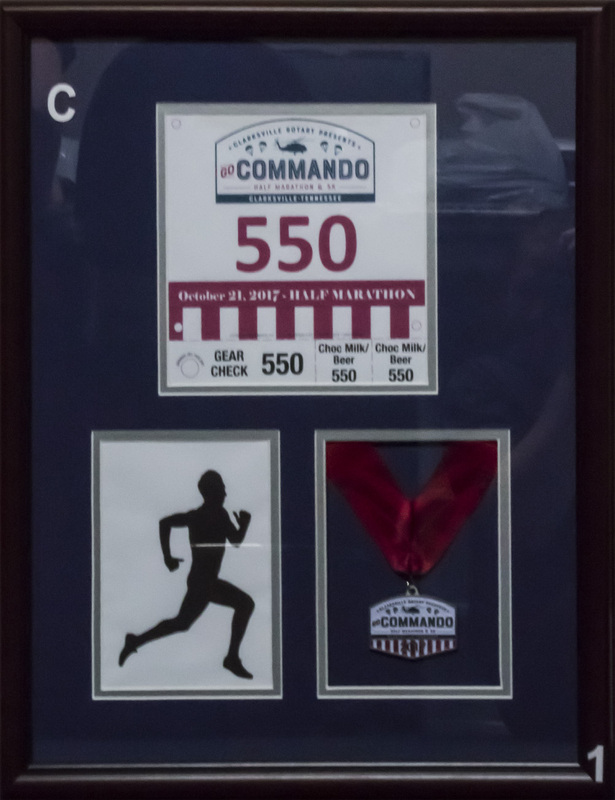 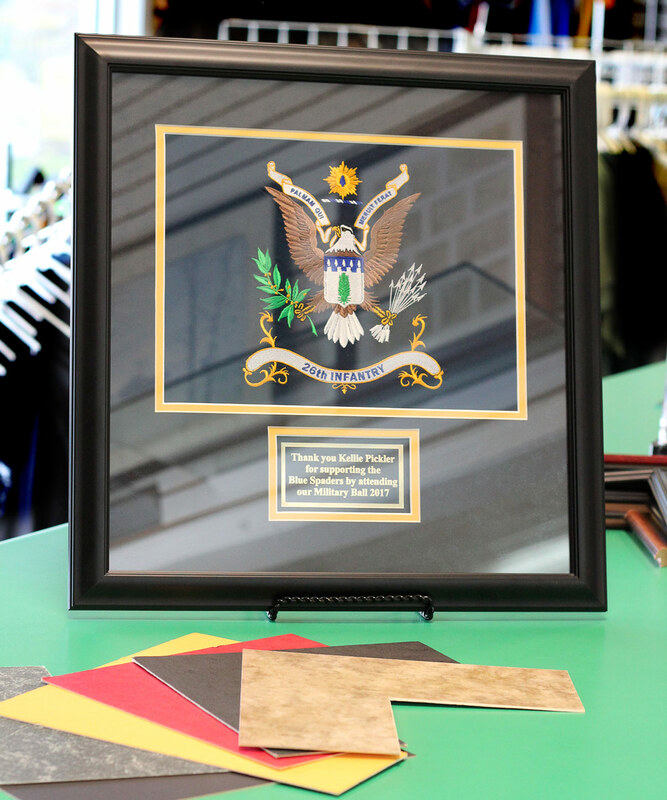 Framing – D & D Companies, Inc.
which allows us to offer flexibility and fast turnaround times to our customers. 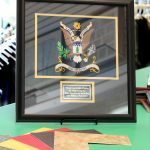 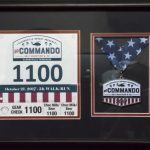 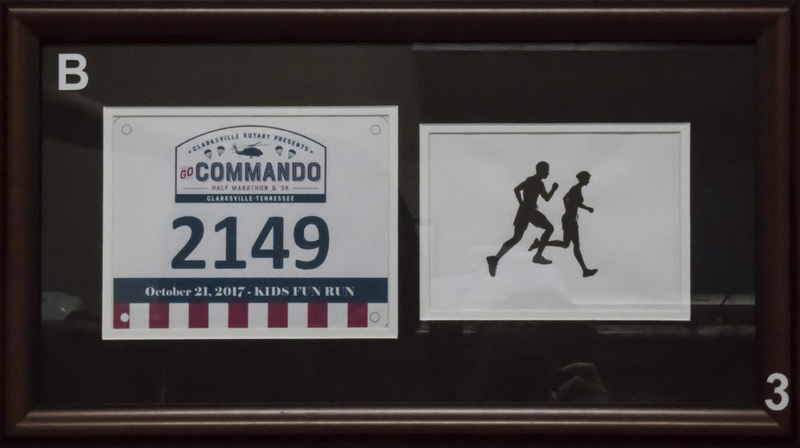 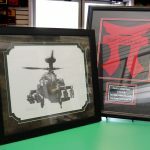 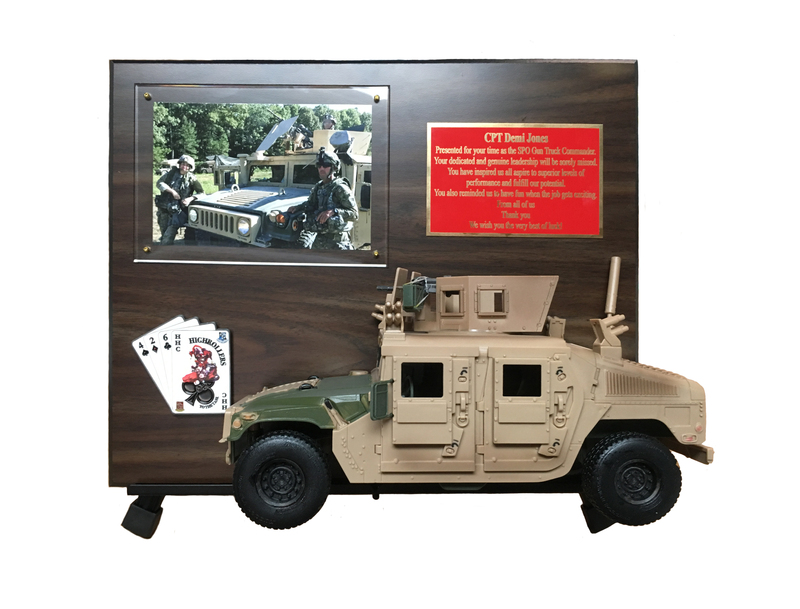 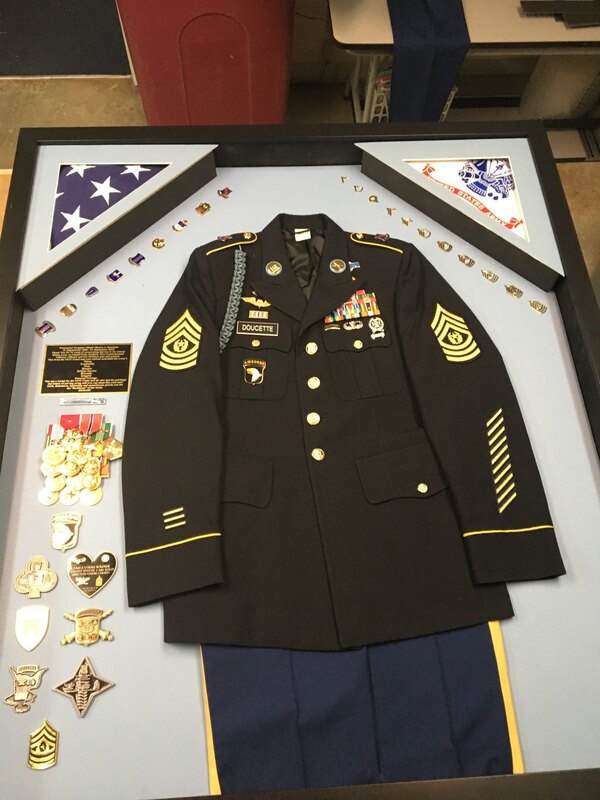 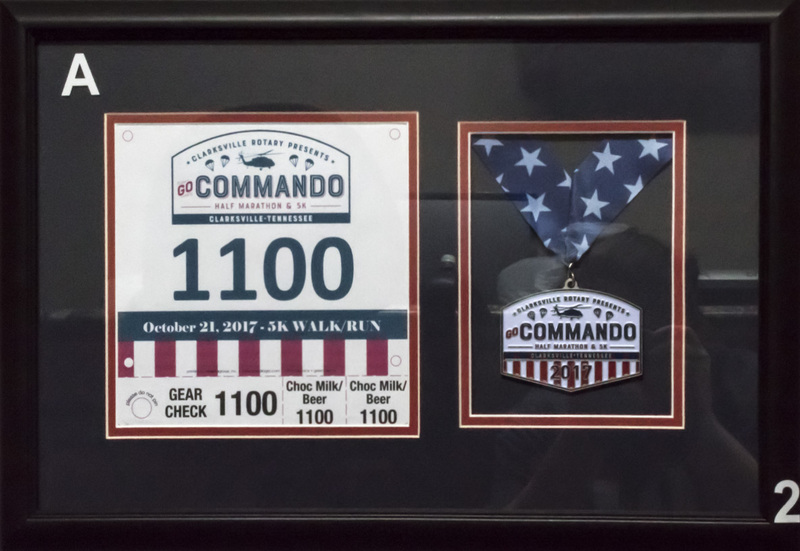 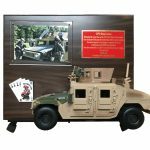 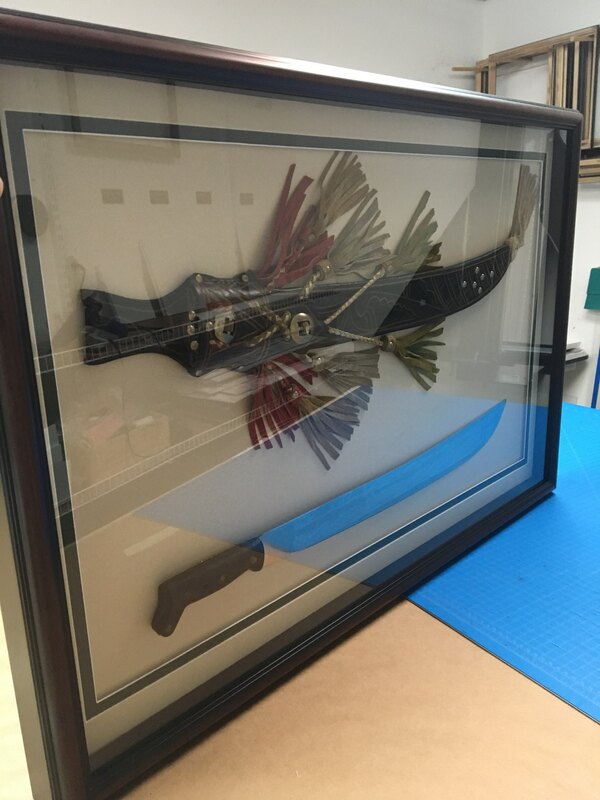 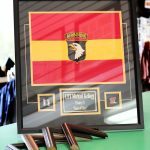 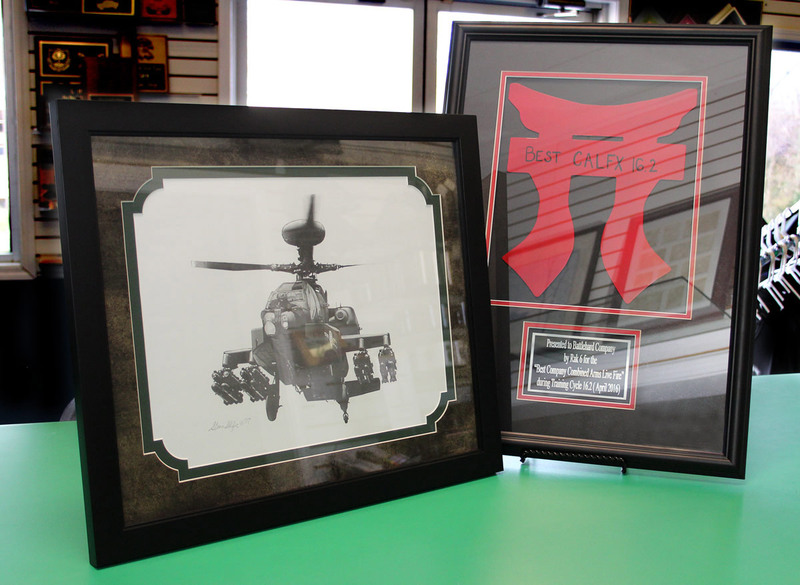 Our unique frames and shadow boxes have encompassed guns, swords, shrapnel, liquor bottles, playing cards, posters, baby shoes, diplomas, jerseys, flags, and many other items. 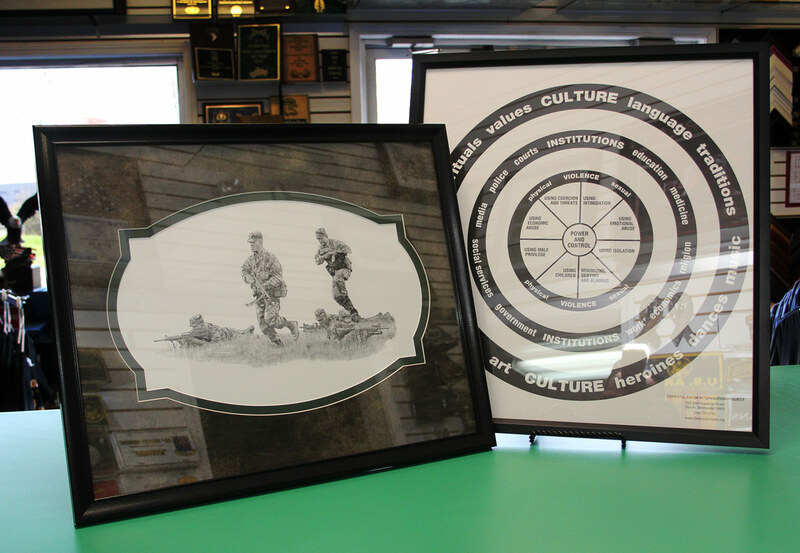 Unlike many of our other services, framing does typically require a face-to-face consultation with our framing staff. 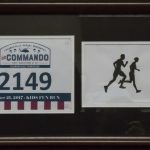 The only exceptions to this are our basic color and guidon specials. 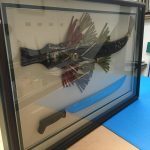 In order to accurately determine the size of the frame needed as well as the price for the frame, each component of a framing order must be precisely measured in-house. 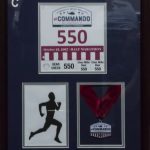 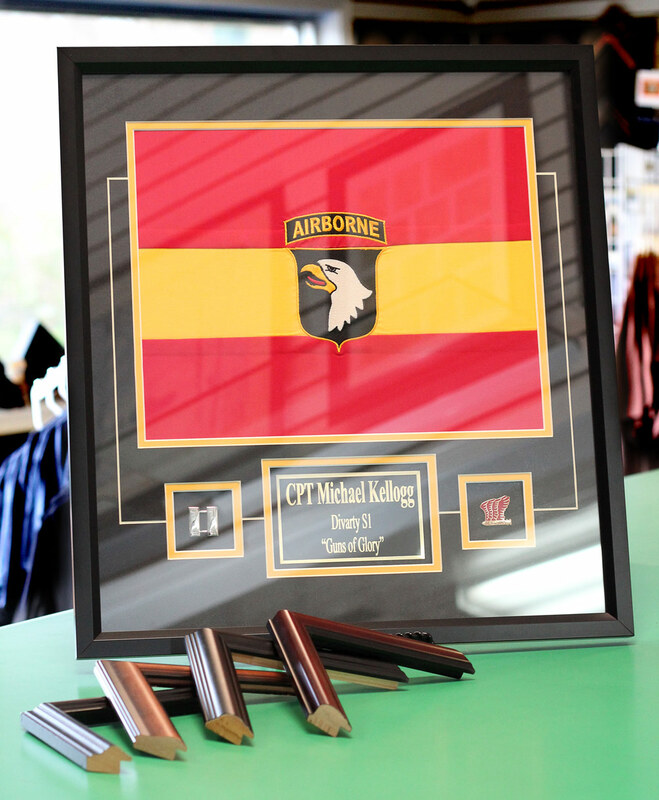 As a courtesy to our military customers, we offer special bulk pricing on framed miniature guidons and colors. 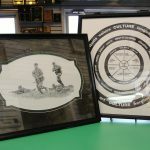 Typically, these are purchased in advance, stored incomplete at one of our locations, and pulled from as the customer needs. 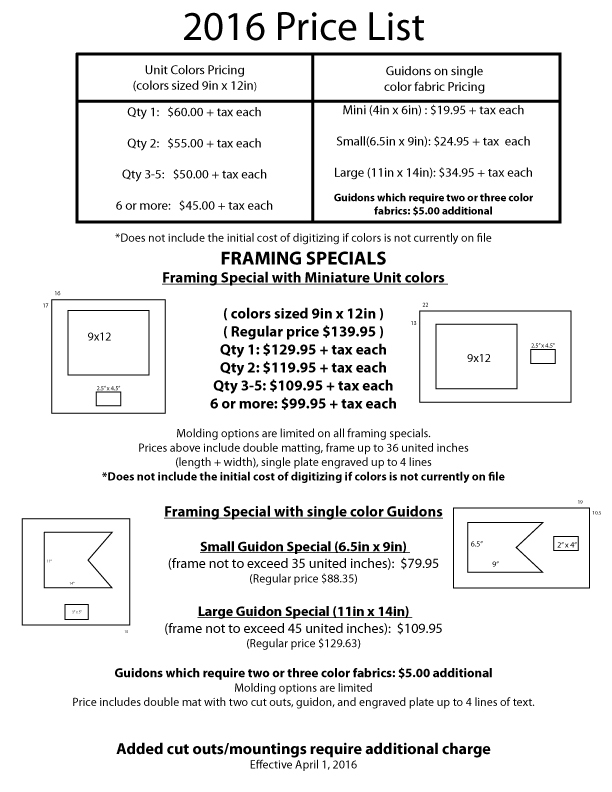 For more information on these color specials, contact us at (931) 648-1001. 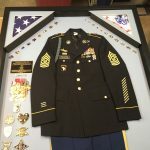 The miniature guidons we currently have on file are listed below.